We are happy to announce the third release of our product – CiviMobile, a React native mobile application for CiviCRM users. CiviMobile allows having all CiviCRM data on your fingertips and editing important CRM information on the go. Among the new important changes we have implemented, there are Memberships, Contributions, Connections, and Notes functionality and the ability to customize the app. These features add additional value to the already mature product used by CiviCRM users worldwide. We are grateful to everyone on the team for their dedication to our project that popularizes CiviCRM and makes the system much more user-friendly. Together, we have already managed to implement a wide variety of CiviCRM features in a fast and intuitive mobile application: management of Contacts, Cases, Activities, Events, graphical Calendar, navigation, etc. And we continue working on CiviMobile to add even more functionality and give additional freedom to regular CiviCRM users. More details about the new and earlier released features may be found in the CiviMobile release article. XII Engineering Career Fair “Invest in Future” was held on 17-18th of April at Lviv Polytechnic National University. The career fair became the place of communication interchange between famous IT-companies and ambitious students who were able to assess opportunities for the current IT market. Agiliway representatives also took part at Career Fair, shared knowledge and open vacancies with students. We had an opportunity to get the latest news from our HR Manager, Halyna S., who told us about the event and opportunities for growth at Agiliway. I (Interviewer): Hello, Halyna. As I knew you were present at Career Fair with other HR Managers and co-workers. What are your impressions about the event? H (Halyna): It was a pleasure to visit the event where I met lots of goal-oriented and initiative students, who expressed their interest in professional development. Nowadays students of the 2-3-rd year courses are so motivated and knowledgeable. I am glad that we have such types of events and companies have the opportunity to represent themselves among future experts. I.: As I know, you take the role of HR Manager at Agiliway. Tell me more about the company and its specifics. H.: Agiliway now consists of more than 100 employees taking different roles including software developers, project managers, QA testers, data analytics providers, and virtual assistants. At the current moment, the IT industry is rapidly developing in Western Ukraine and the demand for IT services is correspondingly on the rise. The third year in a row, Agiliway already participates at the Fair and offers its employment opportunities for ambitious students. This time about 3000 students participated at the event and about 60 companies represented themselves. The event attracted lots of innovative companies together with sponsors and media representatives. I.: Were students open for discussions? And did the event meet your expectations? H.: Yes, they were. Students took an active part in discussions and expressed their interest about the company’s activities, mentorship, and employment opportunities. Most of them also asked questions about projects, technologies, working conditions, and promotion opportunities. Some students are already part of the Lviv IT community and attend IT courses, or even study at home. The access to educational resources and tutorials is so enormous so that now it is not a problem for self-study. What is more, students present at the event could communicate with the managers of the companies and had an opportunity to take part in giveaways and workshops. I.: That sounds great. And tell me whether it is possible to pursue a career at IT even without previous working experience? H.: Yes, it is. We welcome candidates without previous working experience. Last year we offered a job to about 10 people without job experience. Though, I would recommend improving technical skills before employment. There is a range of IT specialized courses offering extensive programs and even job opportunities for the best students. They provide either daytime or evening courses as well as online, which is quite comfortable to combine work and education. For example, last year at this fair, we ran a giveaway, which was organized by our partner ITEA Hub. The main prize was free IT course, which was really an opportunity to gain more knowledge and ideas about the market. I.: Does Agiliway offer any internship and mentorship opportunities? H.: Nowadays lots of IT companies provide internship and mentorship opportunities to select the best and unique talents. At Agiliway, we offer full-time office job under the supervision of more experienced specialists, who share their expertise and technical skills. At the same time, there are some exceptions when engineers can work remotely. I.: What are the benefits of working at Agiliway? Are there some opportunities for career growth? H.: Agiliway is a unique company where its workers are the key. We value each worker and give respect to everyone despite one’s position. All workers have equal opportunities and share both professional ideas and personal thoughts. What I like the most is that everyone is open for communication. We trust and support each other when someone faces a problem or needs advice. Flexibility is one of the company’s benefits as workers may organize their own schedule and seek opportunities for development in different technologies and personal self-growth. I.: What vacancies are open now? May people with a non-technical background apply for any position? I.: Thank you for your time. It was a pleasure to get to know more about the fair and company itself. H.: Thank you too. I hope that young students will improve their both hard and soft skills before entering the market. Agiliway welcomes individuals with strong mindset and diverse approach to finding a solution to any problem. A prominent English statesman, Benjamin Disraeli, once said, “As a general rule, the most successful man in life is the man who has the best information”. How insightful he was to emphasize quality, not quantity as a key value of information! Indeed, today, when people have access to a tremendous scope of information – big data, everything depends on how actionable this information can be. 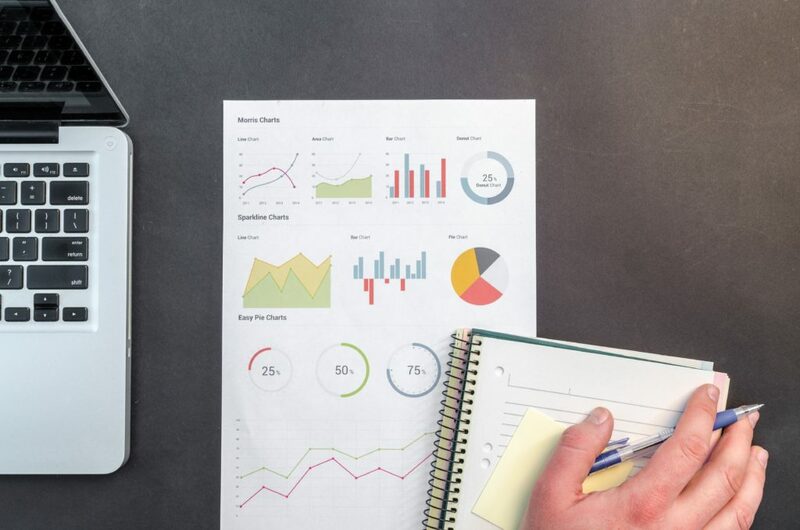 With the correct information technology, information translates into comprehensible graphs and recommendations that immediately prompt business owners how to capitalize on the available data. Our last case is a good example of such a technology. The success of marketing largely depends on the knowledge of a target audience. Of course, everything starts with doing marketing research and making predictions about who might be interested in your product of service. However, a better understanding of a target audience comes when you can already analyze what kind of people have actually bought your product or service. Knowing the demographics, social status, interests, etc. of these people, marketers can create look-alike audiences who are likely to be interested in similar products or services too. Furthermore, the availability of detailed data about the target audience allows to segment it and, thus, target each group with custom ads. 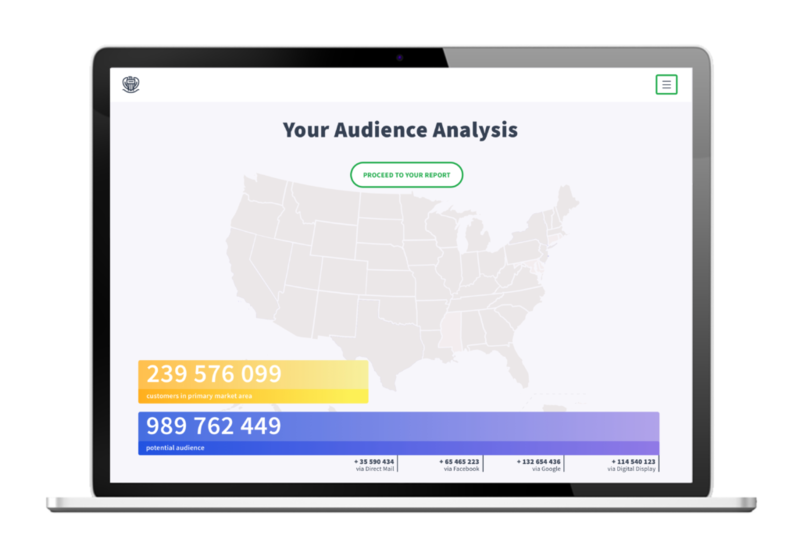 An American startup working in digital marketing has developed unique algorithms for effective audience analytics. In particular, they set forth to build a comprehensive solution that would complement businesses’ customer data with missing details, define customer persona, and analyze the scope of a look-alike audience that the business can target in various states or regions. The final data analytics solution had to allow end users to get quick and comprehensive results and interact with the graphs in real time going deeper into the information they would be interested in. The next planned step in case of the project success was to complement the solution with machine learning algorisms. Considering our experience in big data and machine learning solutions and strong development and project management skills, Agiliway has been chosen as one of the contractors for solution development. Our responsibility was to develop the backend and the interactive UI of the solution. Flawless performance of the solution: Agiliway experts had to make sure that processing of big data analysis does not halt the response of the system and the graphs fetch and display the data almost instantly producing great user experience. Having analyzed the challenges of the project, Agiliway has chosen Laravel PHP Framework for building the backend of the platform and React JS for building a user interface. Integrated automation tests that speed up and facilitate software testing. More than that, ensuring fast testing of the solution and consolidating efforts of other teams working on the project, Agiliway has substantially reduced time to market of the platform. As a result, the company has entered the market as a strong competitor to the existing providers of customer analytics services. The success of the first iteration of the platform has made investors gain more trust with the startup so that they are willing to fund the second iteration introducing machine learning algorisms to increase the capacity of the platform. We are proud of the fact that the excellent performance of our development team and professional project management have made the startup choose Agiliway as a primary provider for the second iteration of the platform. The business definition of a team is two or more people working together towards the achievement of a common goal. Nevertheless, the expansion of the internet, globalization, and overall changes in political and cultural scenes have changed the understanding of this definition, as “together” is no longer understood as “in one place”. While the ability to leverage the potential of world’s talents is a great chance for businesses, it poses challenges to a project management process, as distributed teams may seriously hamper reaching a common goal. Now, the global community no longer sees outsourcing and staff augmentation, a popular cooperation model in IT outsourcing, as totally new unfamiliar concepts. On the one hand, this has made businesses around the world more inclined to hire remote teams. On the other hand, this has made companies feel more secure about IT outsourcing, which makes them disregard viable risks that are inevitably concerned with distributed project management. Cultural differences. Understanding of one’s role in the team, perception of time and perception of power structures heavily rely on the cultural norms and beliefs. In addition, the latter determine communication norms, giving and understanding of feedback in particular. The problem is people tend to expect others to have the same perceptions and expectations as they do. This is where the distributed teams often collapse unless there is a proper distributed team management in place. Understanding of tasks and requirements. While understanding of tasks is an important aspect in any project management process, it is critical when managing distributed teams, as due to geographical distance and difference in time zones, immediate clarification of tasks is often impossible. Knowledge management and “big picture”. It is difficult to ensure that the distributed team shares the same knowledge of the product and its environment. There is a risk that an offshore team will not see a “big picture” behind the work they do, which translates in a lower morale and reduced motivation. Trust issues. Trust is difficult to build when people do not spend meaningful time in person. At the same time, the lack of trust between inshore and offshore project stakeholders disrupts open communication and increases the risk of insider threat. Language. Despite using one language for business communication (English, as a rule), outsourcing companies and offshore teams risk facing misunderstanding due to the use of the non-native language, as many words have subtle connotations learners are often not aware of and people tend to imply something without explaining it explicitly. Thus, it may happen that understanding the words, a person fails to correctly understand the message. We, in Agiliway, have witnessed all of these and other risk factors cause great projects to fail. At the same time, we have acknowledged that assigning a local Project Manager with strong expertise in distributed project management and project risk management can substantially mitigate these risks. 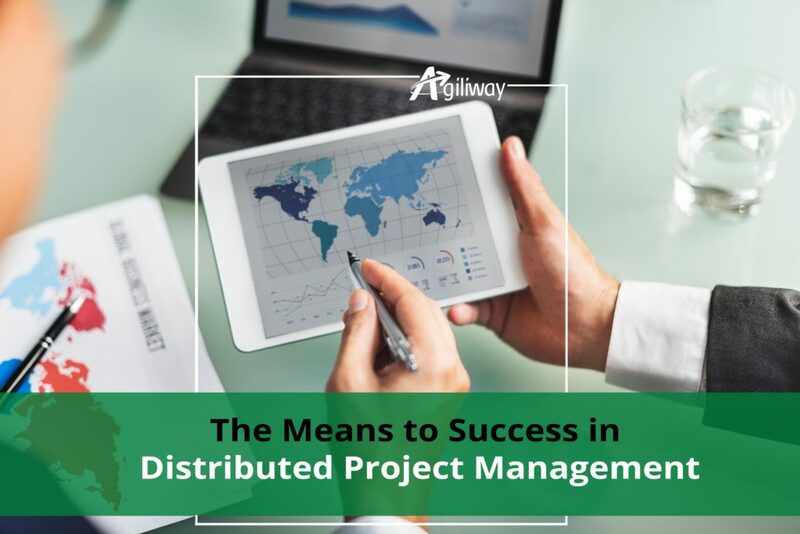 Thus, Agiliway has made it a rule to provide a Project Manager with previous experience of managing distributed teams for EACH offshore team that we provide. This is done both in the framework of staff augmentation contracts or to manage projects outsourced to us; irrespectile whether the client understands the need in it or no. ensuring the availability and proper use of communication and task tracking tools. All in all, those who claim that IT outsourcing is risk free are probably underestimating the risks due to the lack of relevant experience. At the same time, the presence of risks calls for accurate project risk management rather than for the refusal to outsource, as receiving quality IT services at the competitive price can make a great difference. If you have any questions or doubts concerning IT outsourcing or the need to engage a local Project Manager, feel free to contact our expert for a piece of advice or consulting. We, in Agiliway, periodically look back at our cases and challenges we have managed to stand up to. Today, starting work on a new Drupal project, we have reminisced about the project of 2016 we carried out on Drupal 8 within half a year after its release. Back then, we were pioneers detecting and resolving issues of the young version developing a solution for a world-class fruit provider serving the markets of Europe and the North America. Although Agiliway always does its best to deliver quality and value to its clients, this case made us feel particular responsibility as we were servicing a world-known brand with a very long history. The company wanted not only a new corporate site, but also a smart gaming platform that would allow holding an interactive lottery with custom conditions for each participating country. Agiliway set forth to choose a suitable technology and develop a high performing solution. Changes in performance. Performance of many Drupal 8 modules and functions differed from their Drupal 7 performance in many respects, so additional time was needed for Drupal developers to look into the changes. Another challenging task was the development of a gamification module with custom logic and implementing advanced yet easily comprehensible and nice-looking design for recipes. A gamification platform. A gamification platform was intended to become a lead magnet and succeeded with its task perfectly, increasing the traffic to the website and a subscription base manifold. Website visitors logged in on the website and submitted product codes to participate in an instant lottery. The winners were randomly selected from among the participants. The complexity of the solution consisted in the fact that the budget and, consequently, the number of winners and some rules varied from country to country. The system had to analyze whether the submitted product codes were the codes from the voter’s country. What is more, it was necessary to ensure that each person could vote only once, so that all people are given equal opportunities and the marketing campaign gets the greatest possible reach. Customization of social media news block. We customize the social media new block for Drupal 8 so that it displays not one feed source, but the mixture of Facebook, Twitter and Youtube feed. Additional feed appears upon scrolling. Users can expand and view all the news without living the website of the brend. Smart features implemented for recipes. 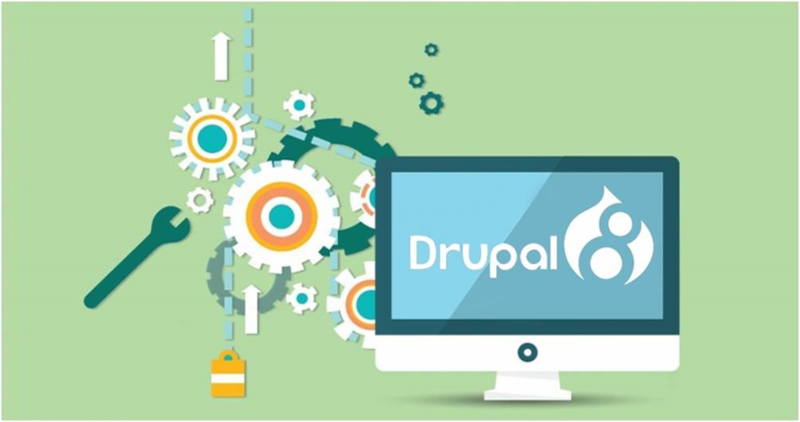 We developed a number of smart features for Drupal 8 either developing custom modules or upgrading Drupal 7 modules to Drupal 8. These features include: (1) filtering of recipes according to meal type, preparation time, the difficulty of preparation, and user’s rating; (2) automatic calculation of the necessary ingredients when users set the number of people they want to serve with the dish; (3) ability to add the lacking products to the shopping list but simply marking them in the list of the ingredients; (4) consolidation of the dish title, photo, ingredients, and steps of preparation in an appropriate way in a ready to print out format on one A4 . Blocks implemented as separate components. The company wanted to be able to easily change content on the website blocks, so that they could effectively realize any future ideas or marketing campaigns without having to refer to specialists. Thus, we analyzed a big site to define a dozen of different blocks that are used for the website. Overall, we configured and implemented over 15 blocks using Drupal Paragraph modules and our custom modules. Such architecture allowed to simplify further support and let the client build the website like a puzzle inserting this or that block into the necessary page. Great performance. We assured that the solution works perfectly under the heavy load of thousands of simultaneous participants. Also, our DevOps team configured auto scalable infrastructure which allowed easily adding/removing extra instance when existing servers exceed a defined load threshold. This allows the client to prevent the site from going offline in cases when the number of visitors increases significantly. The company received a highly performing website built on new scalable technology, Drupal 8. The Drupal 8 solution had a number of features substantially increasing the visitors’ website time and, consequently improving traffic to the website, brand awareness and users’ conversion. A lottery carried out using the developed gamification platform had flawless performance and made the marketing campaign a huge success. While reminiscing over this past experience, we have visited the website of our clients and are pleased to know all the functionality we added has been retained. Furthermore, the client has obviously successfully mastered Drupal 8 and built many new sections for the website based on the blocks we preconfigured. Starting early with Drupal 8, Agiliway has long transformed it into one of its core competencies and we are ready to take up new challenging projects. Will the next one be yours? With online shopping market growing 23% each year, new e-commerce solutions are a must for everyone who wants to grow business in 2019. 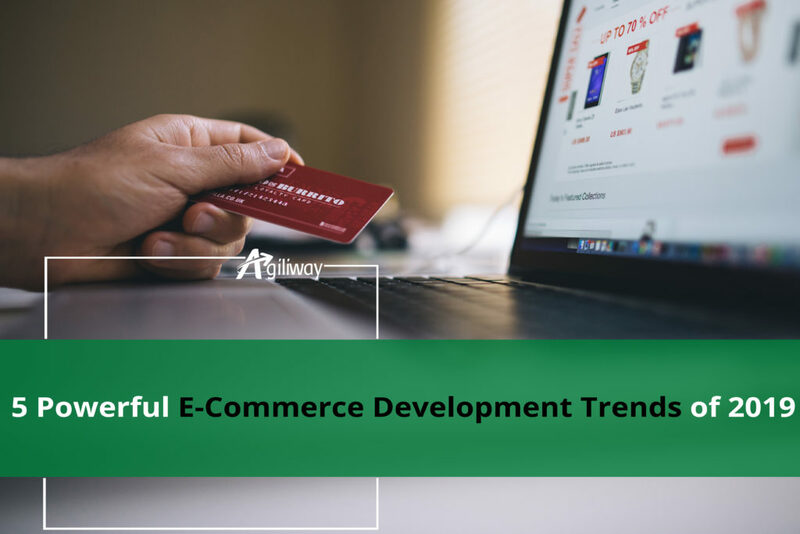 While the number of commerce sites increases day-to-day, following powerful e-commerce development trends that we describe below may bring you ahead of the competition. We, in Agiliway, carry out many e-commerce solutions for a wide range of industries using top technologies like Magento, Oxid, WooCommerce, Aimeos, OpenCart, Odoo, etc. We carefully follow the latest industry trends and share experience with other large players in the e-commerce world. In particular, Agiliway experts have just returned from E-Commerce Berlin Expo 2019, a large international expo and conference that presents a full range of e-commerce products and technologies. There, we exchanged news and discussed e-commerce development trends with experts from around Europe. In the modern world, which is overwhelmed with information, the quest for the online purchase made in your web store becomes a quest for customer’s attention, which can only be gained when you serve the right product at the right time. Due to the evolving web development tools and technologies, personalization becomes a great way to increase website time, sales and customer retention. As an e-commerce trend, personalization should be understood as real-time customization of the customers’ journey basing on their demographics and behavior. This may include creating a website personalization and serving each individual visitor with dynamic content, offers, and calls to action. For example, your e-commerce site can display different featured products, blog posts or images basing on the buyer’s demographic data and his previous browsing and purchases history. You may also make the actual user’s location determine a shipment rate that your web store displays. Pop-ups may be customized to effectively respond to the user’s intent, which is normally determined by factors such as click, abandonment of browsing, timing, moving to the tab to close it. The use of AR/VR that helps users to see 3D versions of products, “try on” clothes and cosmetics, or visualize furniture in their homes is revolutionizing customer experience. Experts predict AR/VR to spread to various niches and greatly affect ultimate buyers’ decisions, which makes it an important trend to follow. The distinctive feature of AR/VR is the shopping experience becomes close to just having fun. A video by the Fitting Reality demonstrates with very well. Who after all can resist the temptation of trying on Lacoste shoes if it’s as simple as looking at your leg through the smartphone’s screen? Overall, 30,000 users did that using the company’s app. We bet many of those could not resist buying the product that fits that so well. While online purchase has been associated primarily with the desktop experience, in 2018, 40% of all revenues came from mobile shoppers. Having a responsive commerce site is only the first step in mobile-optimization. To succeed in 2019, e-commerce development strategy should include a one-click order and payment options for mobile users. One-click orders allow reducing the whole stage in an online buying journey – adding the product to the cart and then going to the cart to pay for the product. Knowing that online shoppers abandon from 50% to 80% of carts, you may easily imagine the increase in sales if the buying decision is acted upon instantly. Virtual assistants and chatbots have already established in the e-commerce world in recent years. The reason is well-understood: they cut customer support expenses, facilitate leads and sales, and build long-term customer relationships. A powerful 2019 e-commerce development trend is using AI algorisms for virtual assistants and chatbots to analyze all queries and responses and learn to become even more helpful. This way, AI chatbots may not only guide users to the products they are interested in or provide common information on the process of purchase and delivery – they may learn to determine possible objections and effectively respond to them, just like your best salesmen do. Since AI chatbots need time to learn, a good decision will be to invest in one as soon as possible. Product content – description, images, specifications, attributes – is at the heart of online sales. Product content syndication allows to automatically spread the content from a centralized point to various platforms and channels. Such a solution allows achieving consistency across multiple commerce sites, which you might use to gain more reach, visibility, and conversions. Product content syndication software is also very helpful when used on the B2B level. For example, industrial suppliers may easily share product data with all their distributors, resellers and OEMs. The beauty of the solution is that the data source will be managed centrally; thus, if a manufacturer makes any changes, your site will update the information automatically. Despite the fierce competition rolling out in the digital space, strategic e-commerce solution will help you stay up-to-date with the upcoming trends and reap all the benefits they offer. Our e-commerce professionals are ready to consult you on how to implement the latest tools and ideas. Success of setting up an offshore development center often depends on a sound and well-thought strategy. The experience of our client proves this point very well. Several years ago, being a rapidly growing European company with its own product, they faced the need to expand. This is when the company started considering building a new development center. Since the company could not find a large pool of quality engineers able to work on the solution with advanced architecture, it started looking for opportunities to build a development center in a remote location. Nevertheless, it did not imagine how they could do this on an unfamiliar market, in the country with a culture and laws that differ from their own, having no experience in managing remote teams. Having chosen Ukraine as a destination, the company referred to Agiliway as a trusted provider with strong experience on the market. Agiliway is an expert in IT outsourcing consulting and is very flexible in terms of models of cooperation so that our clients can always choose the one, which addresses their needs best. Agiliway suggested using a build-operate-transfer (BOT) cooperation model, which has eventually worked best for our client. Builds a permanent team for the client. This presupposes deep analysis of the company’s needs and its inshore team hierarchy and working processes, setting up the necessary infrastructure and recruiting employees, setting up communication between the client and its offshore team and facilitating knowledge transfer to kickstart the work, etc. Operates the team. The provider manages the projects and optimizes the team to achieve its best possible performance. This includes managing proper development and communication processes, motivating the team and organizing team building events, planning and facilitating employee development, managing compensation, tracking employee satisfaction, promoting retention, etc. This may also include firing members of the offshore team that have proved to be not a good fit for the company. This stage results in forming loyal and high-performing team for the client. Transfers the mature team to the client. 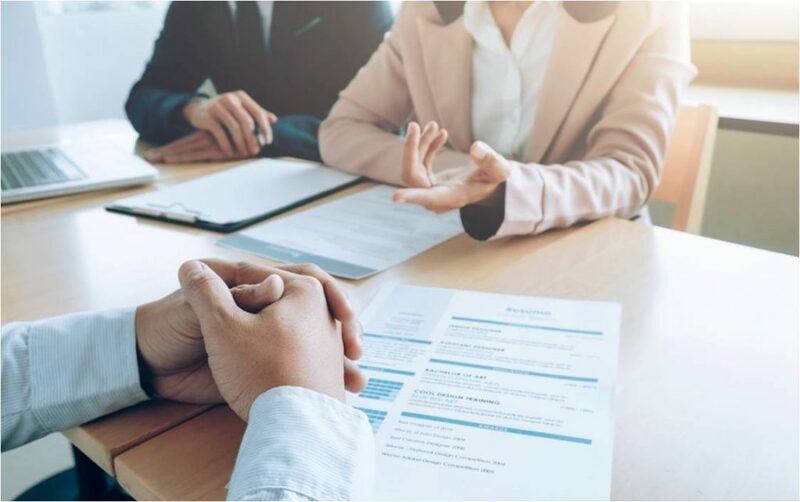 Although transfer seems to be an integral part of the build-operate-transfer cooperation model, it is optional, as a client may choose not to overtake the responsibilities described above and have the vendor continue to operate the offshore team. Still, if the client wants to separate its development center as a legal entity, the vendor carefully plans and manages this transition. The main processes and tasks the vendor undertakes under BOT model of cooperation are summarized in the table. Build-operate-transfer is a good alternative to other means of setting up an offshore development center. Namely, the company may do a greenfield project, sending its employees to research a new location and start a developing center from scratch without attracting a local provider, acquire a local software development company or set up a joint venture with a local provider. Each of the options has its advantages and drawbacks. For example, greenfield ensures full control over an offshore team, but it presupposes high capital and operational expenditures and requires the biggest management efforts. For a joint venture, expenditures, risks and time to market are lower, but there is no full control over the offshore team. The company does not have to worry about how to communicate with all local stakeholders such as recruiters, government bodies, real estate agencies, suppliers, etc. After over three years of cooperation with our client using a BOT model, we have finally come to the final stage of a transition process. The client is particularly satisfied with our operation of their development center and would prefer us not to transfer, but it is one of the requirements of investors, which cannot be violated. Therefore, Agiliway has planed the transition and manages the separation of the legal entity so that the client will soon come into full control over their development center. We are taking all the necessary measures to ensure that transfer has no impact on the performance of the remote team and are confident that it wouldn’t. Overall, the build-operate-transfer model has a number of advantages over other means to open a development center in a remote location. At the same time, although this model of cooperation requires constant management efforts from the client, it has greater risk tolerance and provides much higher level of security than outsourcing. Thus, if you plan long-term IT outsourcing, it might me the best option to choose. If you want to discuss if this model will be best for your case or want to assess the risks, feel free to contact our IT outsourcing expert with more than 20 years of relevant experience. Our recent case shows there is a way to give employees the chance to voice suggestions concerning improvements to the material base and to help the management make only well-grounded financial decisions. 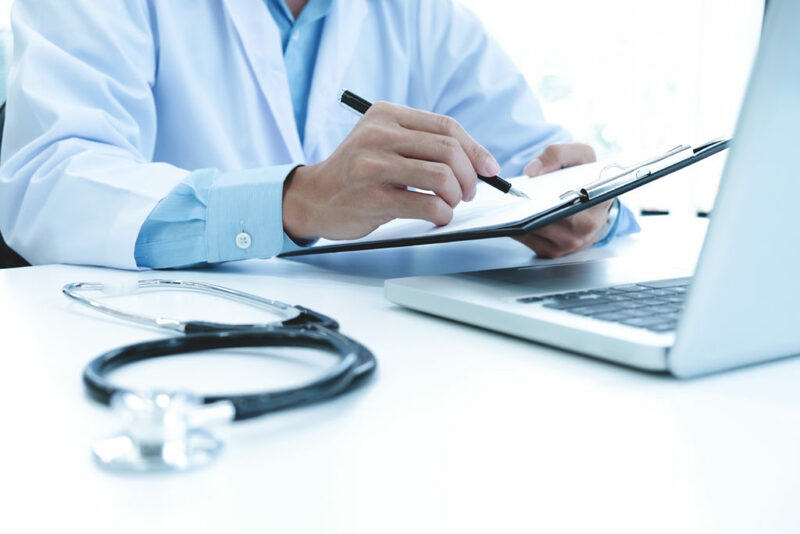 So, let us tell you more about the effective and secure regulation adoption system we developed for a Europe’s leading private hospital operator. The operator has already automated many of its business processes using a comprehensive TYPO3 platform created to its needs. Now, it wished to expand the functionality of the platform and let its 100,000 employees working in acute care hospitals, outpatient centers and prevention clinics create and vote for hospital regulations. The task was far from being easy, as it was necessary not only to develop a system with very complex logic and state transitions depending on events, but also to ensure its good performance on TYPO3 and integration with the core platform. Moreover, the TYPO3 platform managed huge amounts of sensitive data – operator’s patients use it to get test results, schedule appointments, and view treatment history and the operator services 10 million patients each year! This resulted in elevated security demands to the IT company that would work on the project. Eventually, Agiliway was chosen as an experienced and trusted development company to carry out the solution. to analyze logs in order to recognize and effectively respond to system needs. to analyze events causing the change of regulation status to see if any conditions might interfere the process of regulation adoption. Consistently addressing all project challenges, Agiliway TYPO3 experts have developed an elaborate TYPO3 regulation adoption system and integrated it with the core hospital platform shared my millions of users. Multiple user roles and conditions defining who can perform them. For example, the role of an approver and an editor can be performed only by a higher management; range of voting members vary depending on the choice the creator of a regulation. Several types of regulations. Regulations vary in scope and may concern a single department or the entire network of hospitals. Complex conditions determining the change of regulation status. For example, automatic voting is considered completed when at least 80% of eligible voters have casted their votes. Approvals by eligible users voting takes place both before and after the procedure of voting. Version control. Since eligible users may modify a suggested regulation on various stages of its adoption, there is a version control allowing the system to distinguish between various variants of one document. A comprehensive TYPO3 system carried out for a large network of hospital facilities ensures that all the relevant stakeholders take part in the discussion of a new regulation and most of them support the regulation being adopted. This allows a leading hospital operator to effectively respond to the needs that emerge on various levels the organization and make well-grounded investment decisions. Agiliway is happy to have further expanded our experience in TYPO3 and business processes automation. We are ready to work on new challenging projects. If you feel like this might be yours, don’t hesitate to contact us. The importance of proper recruitment and selection of candidates can hardly be exaggerated. On the one hand, these are people who achieve company’s goals and their discretionary behavior gives a huge competitive advantage to any business. On the other hand, insider threat – starting with the breach of security and finishing with careless use of technology and falling for fishing attacks – can ruin your business. No wonder, companies are eager to use intelligent HR software to help their recruiters and HR managers make the best hiring decisions. Join the discussion of our recent case to find out what challenges a start-up faced when developing an IT solution attempting to address these needs and how Agiliway helped it secure its niche on the competitive market of HR software. Desperate to finally release the product and return the invested money, the start-up followed the advice of their acquaintance and invited Agiliway to work on the project. Agiliway has much experience in developing comprehensive IT solutions and has experts with the Node.JS and Angular skills on its team, so we took up the project right away. System stabilization. To stabilize the system, it was necessary to set up dev/test environment and launch continuous integration (CI) and continuous development (CD) so that new changes are released quickly and do not cause any performance issues upon release. Then, our team had to optimize the hosting of the software and address the existing bugs and issues. Development of new features. It was necessary to research and implement new features that would automate process of recruitment and selection to make the recruitment software more competitive. Setting up unit tests. Unit tests check the code for validity, which allows early identification of errors. The new code is not released on the production server unless it is validated, so no issues in the performance of the software can emerge upon the release. Launching CI and CD. CI and CD launched by our DevOps specialists have dramatically cut development time and, thus, time to market of the product. Fixing of SSO issues. Single Sign-On(SSO) is a useful feature that allows users to access the recruitment software without spending extra time for authorization. Fixing the SSO issues, we have made the product more user-friendly. Optimization of frameworks. We have optimized the performance of NodJS responsible for the server part of the solution and Angular carrying all business logic. Optimization of hosting and data storage. We have optimized the storage of BI data on MongoDB database and hosted the software on Heroku. Development of API. 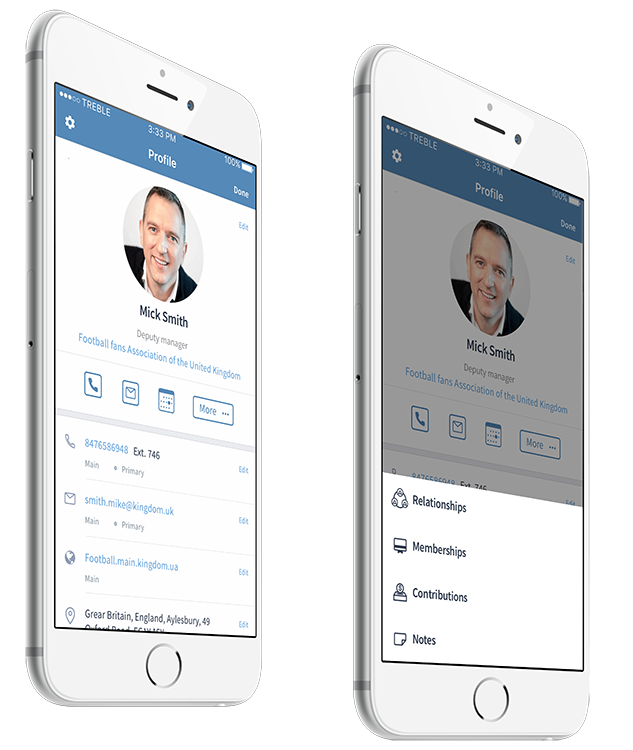 We have developed an API for the recruitment solution so that it can be integrated with corporate software or popular HR systems recruiters commonly use as a single point of work. Development of new features. Out engineers have added new functionality or improved the performance or scope of the existing features. Writing of job description. Using the system, a recruiter can automatically analyze the structure and the wording of a job description. Following the tips of the system, recruiters can perfect the job description and receive maximum responses. Resume reviewing. The system automatically hides information on the name, age and gender of applicants in their resumes, so a reviewer gives critical and unbiased consideration to applicants’ skills and experience. Prioritization of job skills. A recruiter of an HR manager gives each job skill a value. When tests or interviewers assess the skills of applicants, the system automatically calculates an objective score for each applicant. If a manager decides to change the priorities and assign a different value to this or that skill, the scores are automatically recalculated. Structured interviewing. The system gives suggestions on the interview questions that align to the hiring criteria set forth by a recruiter. Such solution makes interviews more effective and greatly reduces preparation time. The start-up has concluded a deal with a large world-known brand and is in negotiations with other prominent companies interested in using the software. Eventually, a start-up that has recently been on the verge of failure is celebrating success and contemplating ambitious plans for the future. E-commerce has long as transformed the way people do business. Benefits of running a web store being so wide-ranging, every niche in the online commerce world is filled, platforms fine-tuned to perfection and every solution found. Or so it seemed until Agiliway team took up an e-commerce website project aimed to open a gateway to the e-commerce world for global trade in decorative stones and construction materials. Starting fresh in most cases is far more rewarding and time-effective than rescuing projects in crisis. Yet, Agiliway makes it a rule to put clients’ interests first. Time and resources have been invested into e-commerce website development but the client still had his lucrative online business beyond the bounds of reality. In view of our client’s prior frustration and an incredibly long wait time, we put together a team of managers, developers, analysts to explore the practical, financial and technical aspects of the project. As soon as they ascertained that the project stood an ample chance of successful completion and all details were discussed with a client, a team of full-time developers, support staff and a few contributing developers set to turn the project deepest lows into the best highs of the future e-commerce platform for global wholesale and retail trade. Few months down the line and we are pleased to announce that project officially enters the beta stage. is fully customized to offer wide functionality and respond to the business niche requirements. When all of the good ideas are taken and you find one, Agiliway team will find the best e-commerce solution. The e-commerce platform has occupied a totally new niche and our development team keeps its focus on extending its functional (e.g. integration with delivery company services, an abridged version, mobile apps, etc) Managing unknowns is our specialty and we are good at it. Or you can always start with something that’s already working, and we’ll help to make it better.